Along a particular path at our local botanical garden there is a bush that blooms all summer in clear shades of orange and magenta and yellow. Bees throng to it — big, slow bumble bees with tidy yellow bags of pollen on their hind legs. Here, for just a moment, I always catch a glimpse of my former foster son. It never fails — we turn the corner and there he is, five years old again, wearing a striped shirt and garish Lightning McQueen sandals and my husband’s baseball cap, too big for his head. He leans forward with his hands on his knees, watching a bee drifting in and out of a cluster of blossoms. He is smiling, quiet, his face bright with interest. The moment only lasted a few seconds, and then he ran off again. He was seldom still or quiet for long. But the memory is strong and clear and sweet, a favorite memory for the glimpse it offers me of all that was good about our time with this child despite all that was difficult. This little boy lived with my family for an intense, chaotic year and a half. He’d been through hard things in his short life; he was curious, intelligent and charming, but also developmentally delayed, hyperactive, scared, loud, and deeply broken-hearted. It’s difficult to convey exactly how besieged and burdened a foster parent can feel while navigating a hurting child’s desperate needs. 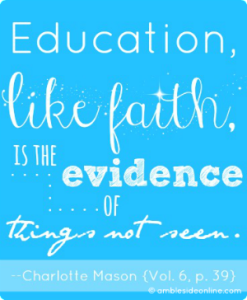 And yet, we must never lose sight of the fact that the child’s suffering is far worse. What manifests as difficult behavior originates in deep roots of fear, pain, grief, and distrust. Foster parenting brings you up short against all that you cannot do for a child. In that sense it’s a useful reality check for an earnest parent. We could not change our foster son’s past, take away his bad memories or his trauma triggers, or even effectively comfort his hurting heart. We had no control over his future and no satisfactory answers to his daily questions about when he could go home again. Still, it was all too easy to feel a responsibility to “fix” him, to retrain his behaviors and address his heart issues and get him caught up developmentally. But it’s not in our power to change or control the heart of a child, traumatized or not. All we could really do was provide him the most healing environment we could manage, and trust God with the outcome — a hard but necessary truth to accept. Early on in our time with this little boy, I was focused and determined to help him “make progress.” There certainly was much to be done for him. For months, we had about half a dozen therapy sessions a week. 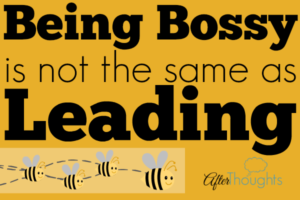 I taught him to count to 10, I taught him the alphabet, I tried to find behavior management strategies that would make our days go smoother. There was nothing wrong with any of this, but all too often it seemed that focusing on these objectives interfered with my ability to see and love my foster son as he was. In my determination to “help” him, how easy it was to reduce his full personhood to a collection of behaviors, diagnoses, and needs. But time went by, and I grew increasingly weary, and the progress I hoped for was slower and more circuitous than I expected. 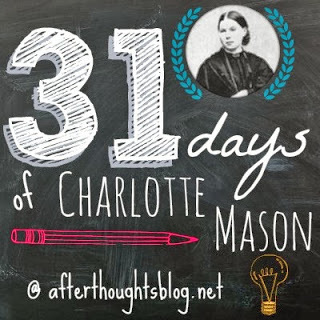 Meanwhile, I was studying both Charlotte Mason and trauma parenting and finding incredible connections between them. 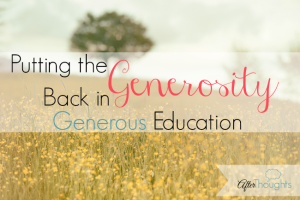 My perspective on what my foster son needed began to change. I began to focus less on “making progress” and more on giving him a nurturing, beautiful life while he was in our home. We went to the creek more often and spent more time outside. A couple of days a week, we turned afternoon snack time into teatime with picture study and poetry. We began to keep rudimentary nature journals and pay attention to the butterflies and birds and garden snakes found in our backyard. It wasn’t always pretty; trauma is a formidable adversary and sometimes derailed my best efforts. And yet, these things brought us a fresh source of joy when life so often felt very heavy. 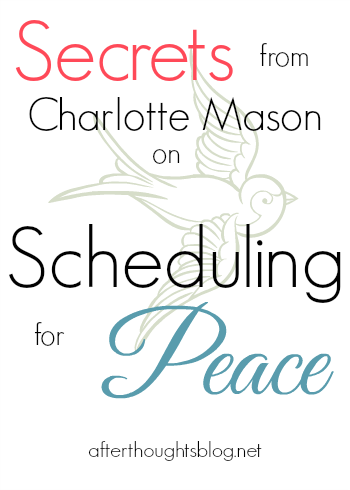 I could go on and on about the benefits of a Charlotte Mason lifestyle for children of trauma. It can be an incredible blessing for the specific emotional, neurological, and physical needs of these children. But what surprised me was the benefits it offered me as a trauma parent. 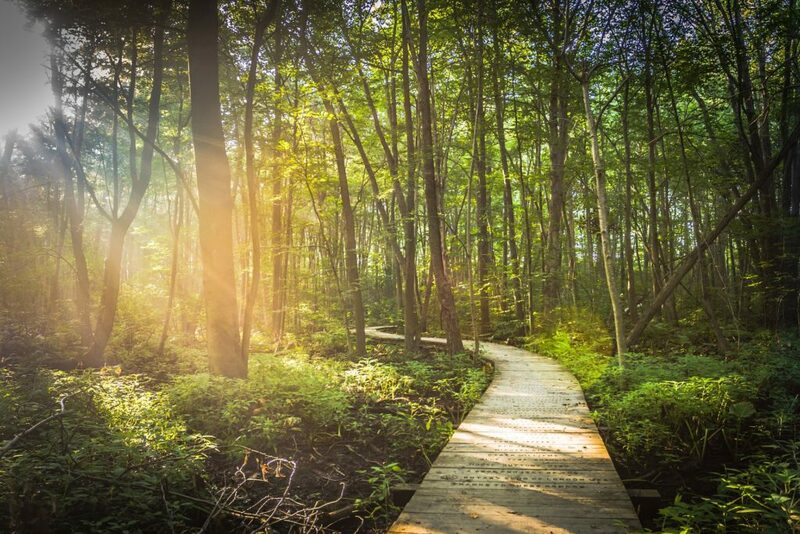 In hard times, when it feels like all our strength is required just to make it through the day, we’re tempted to slip into survival mode, eliminating everything that isn’t absolutely necessary. At least, this is the frame of mind I often found myself slipping in to while we were fostering. 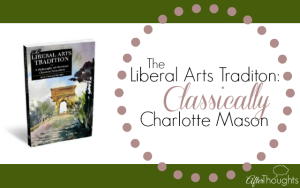 And yet it was in the supposedly unnecessary beauties of Charlotte Mason living that I was revived for the necessary work. But even more importantly than this, it was in enjoying these unnecessary beauties together with my foster son that I was given renewed vision of him as a “born person,” a soul most fearfully and wonderfully made. I often struggled to stay tender towards him through the difficulties of our days together. It can be hard to see through the veneer of a child’s trauma to the real soul beneath, and it can be hard to lay down our defenses and connect with a child whose behavior is challenging and alienating. 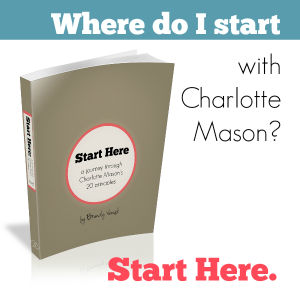 But through Charlotte Mason, we found ways to connect with each other over something beautiful, to transcend the chaos and dysregulation that so often consumed our days. A few minutes spent on the couch together reading a fairy tale or singing is such a little thing, and yet how much ground can be gained this way in strengthening attachment and affection. And in the end, attachment and affection is what a child like my foster son needs more than anything else. That day at the botanical garden when my foster son stopped to watch a bee was in the last few weeks of his placement with us. It was a tough time for us all, with emotions running high due to the uncertainty surrounding the end of his case. Each day it seemed I struggled more to be a loving, patient, present parent through the weariness overtaking my spirit. And yet, what remains of that particular day is the memory of his delight, his little face in profile, nose to nose with a bumble bee. As small a moment as it was, it prompted me to take delight in him, to see him for the innocent, curious, charming little person that he really was. What a blessing, both for him and for me. It’s been a couple of years now since our foster son left our home. His life since then has taken some difficult turns. It occurred to me recently that the months he spent in our home, as chaotic as they often seemed, were the only thing even close to a “quiet growing time” he ever had. How thankful I am now for the hours he spent digging happily in our backyard sand pit. Looking back, this seems more valuable than those hard-won developmental milestones I helped him achieve; especially given that the pursuit of those milestones often got in the way of building trust and connection. How thankful I am now for the time we spent walking together in the nature preserve, painting the swallowtails we saw in the yard, reading poetry aloud, singing hymns, looking at Mary Cassatt paintings over tea surrounded by piles of unfolded laundry. These were the moments that pulled us through those difficult months. These were the best gifts I had to offer to a child who had lived through so much trouble. And now, looking back, they are the memories that comfort me. I hope they comfort him, too. Caitlin, this made me cry. We recently had two foster children leave us, and while the months they were with us were indeed challenging, the moments of connection over beauty were truly treasured memories. I feel convicted at the times I forgot how to delight over them as “born persons,” and I’m amazed at how clearly you described the challenge of seeing past their behavior into the soul underneath. Thank you. This is beautiful and really blessed me today. Thank you for sharing this, Caitlin. Thank you, Caitlin, for writing these beautiful, sorely needed words. Thank you for loving the hurting children who are too wounded to return love fully. I truly hope this little boy will remember, that the Holy Spirit will pursue him, that others will water the seeds you & Dan carefully sowed, and may he one day rise up to call you blessed. Caitlin, thank you. Your reflection brings tears because it is relatable even for us who do not foster. Any child can become, even if only for a moment or a day, more a series of milestones to manage and less the soul beneath the veneer, as you describe. Thank you for this beautiful reminder of the role each of us plays as representative of our Creator to these little ones. That’s how I feel about my own children sometimes. What you have written reminds me of Jesus saying “come to me… my burden is light”. . . His way is a restful way in comparison with the burden we would otherwise place on ourselves. And observant CM has pointed out how to love little souls in such a restful way. Thank you so very much for this gently instructive piece. The foster care crisis is truly heartbreaking. Thank you, thank you Caitlin. I feel like you have blessed me with a beautiful gift every time I read something you have written! Thank you, Caitlin, with tears. Oh my heavens yes. Thank you for putting all of this to words. We have a 2 year old foster child and I was “yes”ing my whole way through this article. This week, my 14 y.o. son is reviewing all the poetry we have learned over these past eight years. 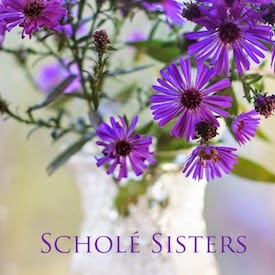 And I am remiss that we did not spend the recommended time reviewing them all more over these years because it is like music – soothing and placing us back in a sweet moment of time now long passed. Today we went over the poems learned in grades 2 and 3 and we were mutually delighted and knit together. Here we were: he was reclining in the empty tub with a gerbil running circles around him and me sitting near-by reading. And we were exchanging tender smiles of gratitude. I hope this stays with him forever and I am grateful for these moments. 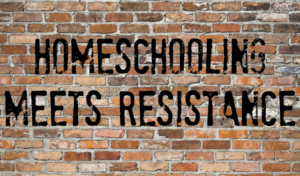 These are moments of our homeschooling that I might not have ever had if we had quit or never started. If I had never read “For the Children’s Sake” or never set sails on a new horizon, maybe I would have missed Ms. Mason’s Magic and missed today’s knowing smile from my son. I am a believer. Yes!! This is exactly what I’m thinking about. And while my experiences have been with children of trauma, this is just as real for our biological children. we ALL need a deep store of these memories, these connections binding us together. We will all need to draw upon the strength they give us at some point. Thank you for sharing! Wow, Caitlin. God bless you.